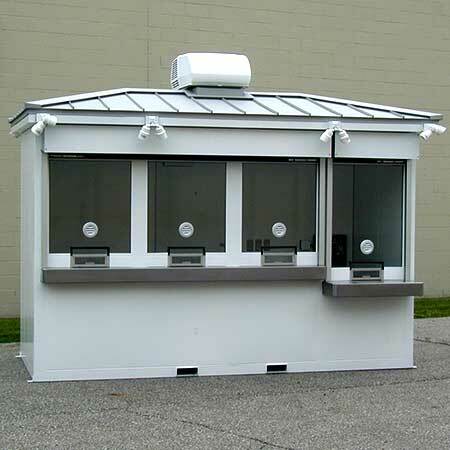 About Us - Little Buildings, Inc.
Little Buildings Inc manufactures and sells high-quality pre-fabricated, welded galvanized portable steel buildings for many uses including guard houses, guard house with restroom, Parking Booths, toll booths, ticket booth, portable box office, smoking room, kiosk, scale houses, bullet-resistant security shack / guardhouse, automated pay station canopy, pay-in-lane canopy, parking booth, storage buildings, etc. 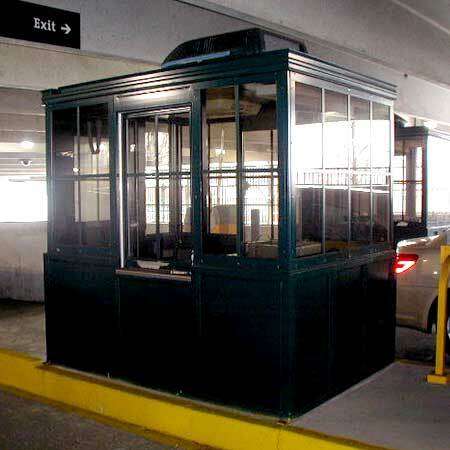 Sizes range from 4’ x 6’ up to 11’ x 30’. They ship totally assembled on a flat bed truck ready to set, connect, and use. Choose from one of our standard models and modify it or we can start from scratch to build exactly what you need to meet your requirements. 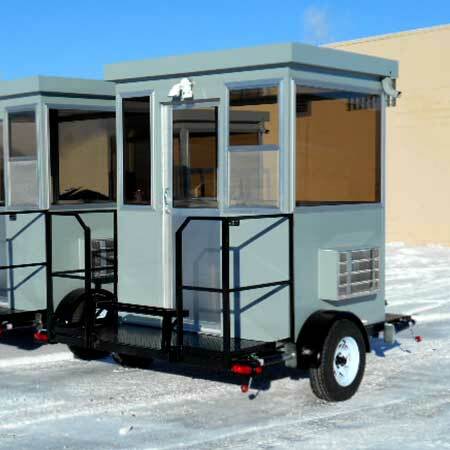 We offer trailer or stand mounted guard house units for specialty applications. Check out several of our models under "products" on the menu bar above or download our brochure – just click on "download brochure" at the top of the page. Contact us at the factory for pricing, options, and additional information. Our contact information is on the bottom of this page. 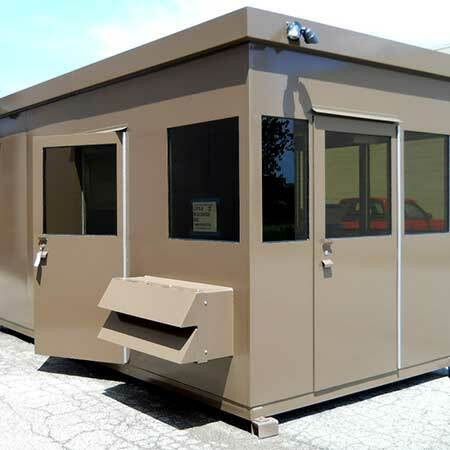 Standard Little Buildings guard house and guard shack features may include welded galvanized steel construction, sliding aluminum door with maximum security lock, painted steel work counter with storage drawer, tread plate floor, 4" elevated base with anchor tabs, insulated walls and ceiling, 3" canopy overhang, paint color of choice, and clear tempered safety glass windows. Factory installed electric: fluorescent light with lens and wall switch, 1500W/120V. wall mounted heater, 115V. gfci convenience outlet with wiring to a wall mounted circuit box. Customer provides 120/240V. single phase electric service with proper ground. Provide quality portable steel buildings built for years of rugged service and best suited to our customer’s operational requirements at a great value with on-time delivery. We also have a GSA Multiple Award Schedule government contract to supply to the military and other government agencies. Our GSA contract number is GS 07F 0352M. Contact us for additional information and government price lists.